Sewell - SolidRun by Sewell Cat5e Bulk Cable 1000 ft. UTP This Cat5e bulk cable comes with 1000 feet of Light Gray UTP cable in a spool box all for just $53.95. Sewell - SolidRun by Sewell Cat5e Bulk Cable 1000 ft. Blue Getting ready to start on a big Cat5e wiring job? This high-quality 1000ft. spool of blue bulk Cat5e is in an easy pull box and ready for crimping. The cable is marked at every foot to make custom cable runs easier. 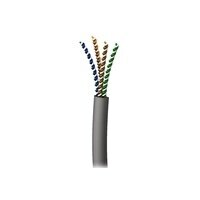 Sewell - SolidRun by Sewell Cat5e Bulk Cable 1000 ft. Whit This Cat5e bulk cable comes with 1000 feet of UTP cable in a spool box. Sewell - SolidRun by Sewell Bulk Cat5e Cable UTP 1000 ft. This Orange Cat5e bulk cable comes with 1000 feet of UTP cable in a spool box all for just $55.95. Sewell - SolidRun by Sewell Cat5e Bulk Cable 1000 ft. Purp This Purple Cat5e bulk cable comes with 1000 feet of UTP cable in a spool box all for just $55.95. Don't overpay for Cat5e when you could get this high quality CM rated Cat5e for less. 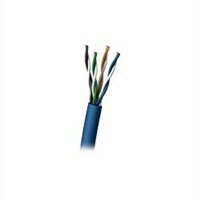 Sewell - SolidRun by Sewell Bulk Cat5e Cable 1000 ft Dark This Cat5e bulk cable comes with 1000 feet of UTP cable in a spool box. Sewell - SolidRun by Sewell Cat5e Bulk Cable 1000 ft. Blac Getting ready to start on a big Cat5e wiring job? This high-quality 1000ft. spool of blue bulk Cat5e is in an easy pull box and ready for crimping. Fast same-day shipping. Sewell - SolidRun by Sewell Cat5e CMR Bulk Cable 1000 ft. Getting ready to start on a big Cat5e wiring job? This high-quality 1000ft. spool of blue bulk CMR Cat5e is in an easy pull box and ready for crimping. 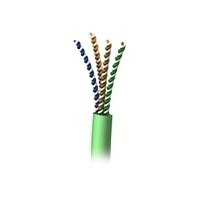 Sewell - SolidRun by Sewell Cat5e CMR Bulk Cable 1000 ft. 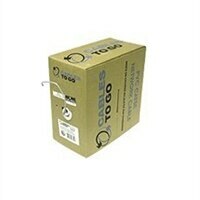 This Cat5e bulk cable comes with 1000 feet of UTP CMR cable in a spool box all for just $59.95. 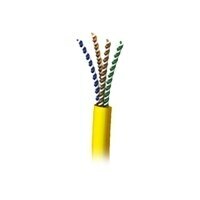 Sewell - SolidRun by Sewell Cat5e CMR Bulk Cable 1000 ft. This Cat5e bulk cable comes with 1000 feet of Light Gray CMR rated UTP Cat5e cable in a spool box all for just $59.95. 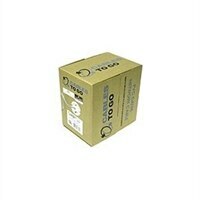 Sewell - Cat5e Bulk Cable 1000 ft. White UTP CM Pull Box w This Cat5e bulk cable comes with 1000 feet of UTP cable in a spool box all for just $59.95. Includes 50 RJ45 Connectors. Sewell - Cat5e Bulk Cable 1000 ft. Blue Pull Box w/ 50 RJ4 Getting ready to start on a big Cat5e wiring job? This high-quality 1000ft. spool of blue bulk Cat5e is in an easy pull box and ready for crimping. Includes 50 RJ45 Connectors. Sewell - Sewell SolidRun RG59+Cat5e Siamese 1000ft Make your cable installation easier with Sewellâ€™s RG59 plus Cat5e Siamese Cable. It features 18 AWG coaxial cable together with 23 AWG Cat5e cable on an easy-pull spool.